***NOTE; today, July 24, I’ve updated the pattern a bit and clarified a few things. The new notes are in bold. Also, if you like this pattern enough to sell the hats you make with it, that is a-okay with me. I only ask that please a) you give me credit for the pattern, i.e. : “I got the totally free pattern for this beautiful hat I made from totally charming, awesome, smart and also humble Jess at mightyaglet.blogspot.com” and b) you send me a photo of the hat(s) you made, just because I’d love to see what other people are making with this pattern. I found what I think is a complete set of the Stitch by Stitch series in the St. Vincent De Paul in Maynooth. I bought all of it (ten huge binders filled with magazines) for ten euro and lugged it home in Ivan’s buggy (Ivan had to walk home; sorry, buddy). A lot of it was smelly and spotted with black mold – it was old and had obviously been in someone’s granny’s attic for decades – but I was able to recover most of what I thought was worth saving. Each magazine has patterns – crochet, knit, macrame, sewing, etc. — using a specific technique or stitch, the instructions for which are included in great detail. 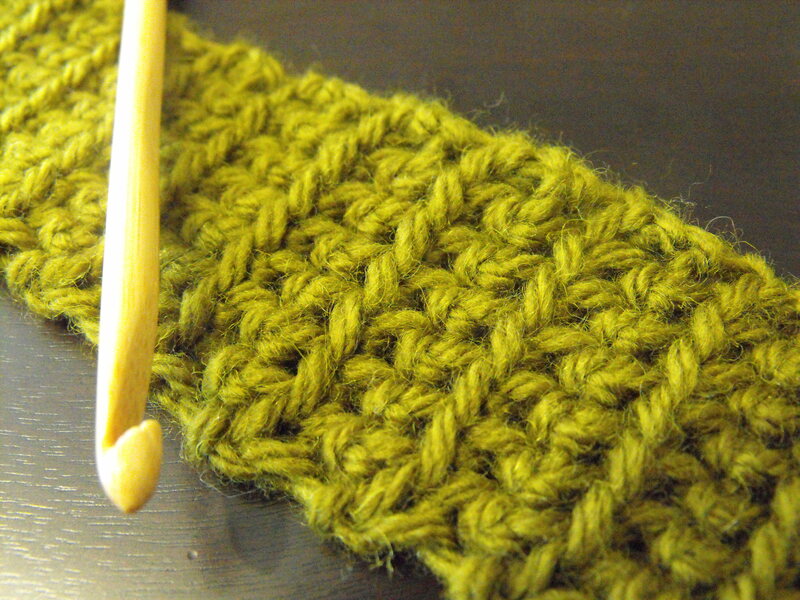 I was drawn to one particular stitch I found, called simply “diagonal shells”. Last month I started working on a rectangular wrap using that stitch, as it creates the illusion of being worked on the bias (similar to the clapochet, which is itself worked on the bias). 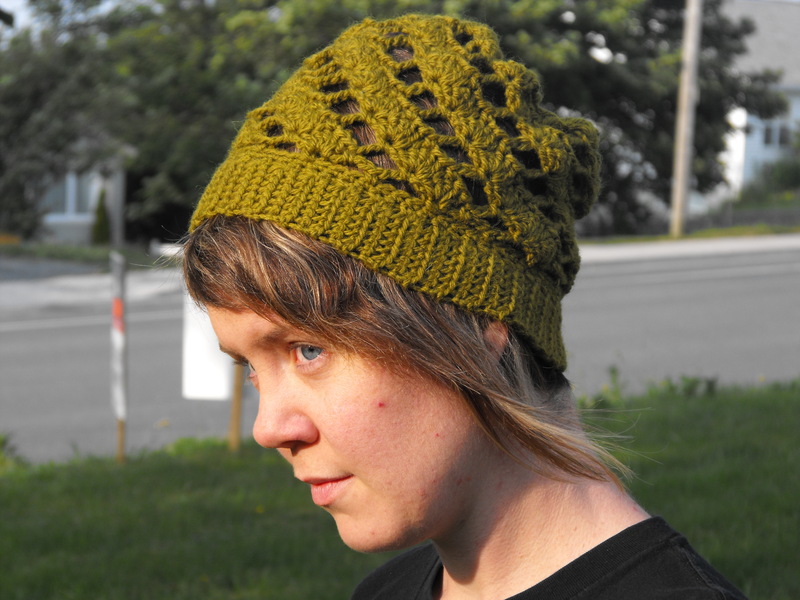 I was inspired to use this stitch in the round, rather than back and forth, to create a slouchy hat. I had to do a lot of fiddling with math etc. to get the stitch counts correct, and I am still not 100 per cent sure I have the numbers right. I have made two hats and they have turned out how I think they should have; however, if you try this pattern and come across mistakes (and I am almost certain you will find some) please let me know so I can fix it. As well, if you find any part of the pattern muddled or poorly-described (again, I predict you will run into this) let me know so I can clear it up. Also, I should apologize: because I used oddments to make both of these hats, I am not sure how much yarn is required. Some of you more experienced crocheters can eyeball these and estimate how much you will need. 200 yards of any worsted weight should be more than enough. I highly recommend using wool or another blockable fibre; I believe the hat, as anything that involves a lot of clusters or shells, is improved greatly by blocking. I used a 5.5 hook for the band and a 6.5 hook for the rest of the hat. 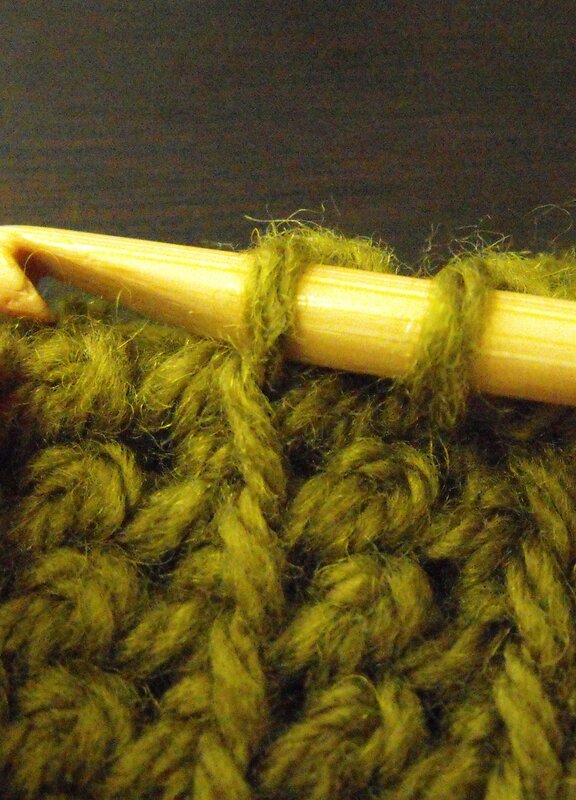 I crochet extremely tightly and those hooks tend to work perfectly for me with worsted weight yarn. 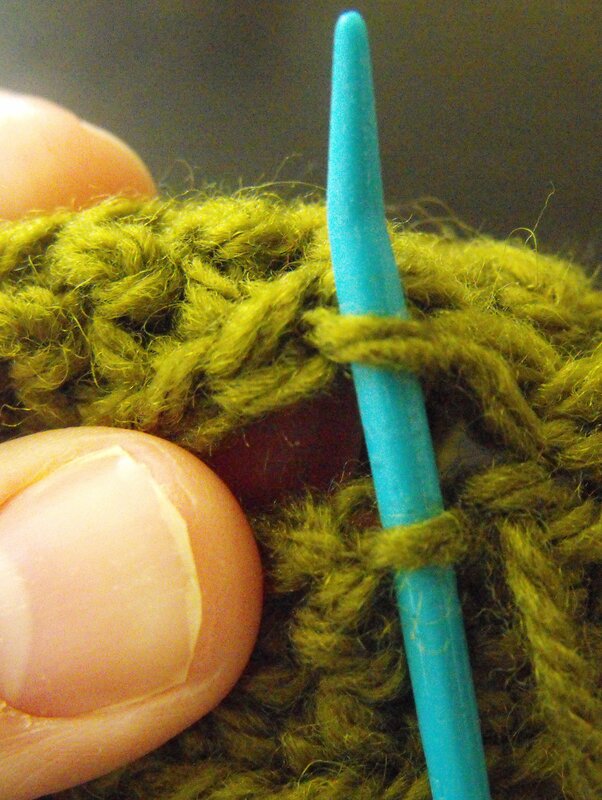 You may need to downgrade your hook size if you tend to crochet to a normal or loose gauge. 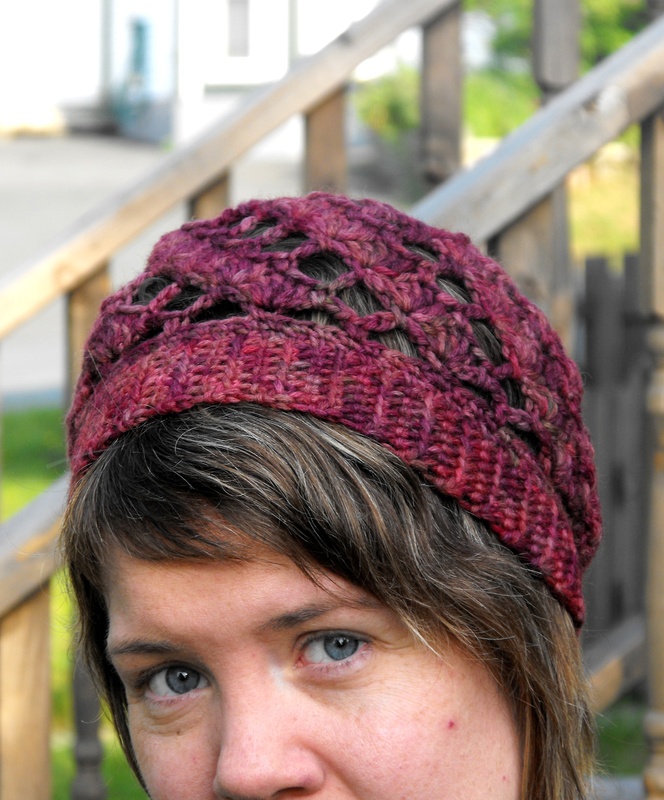 I recently made the hat with a sport weight yarn. I needed to make a few adjustments throughout the pattern; for example, when using worsted weight or thicker, I had to increase after making the band so I had 76 stitches in my foundation row. With the sport weight version, I had to decrease significantly to get the 76 stitches. For years, I made my bands by doing rounds of fpdc/bpdc, but I never really liked the look. 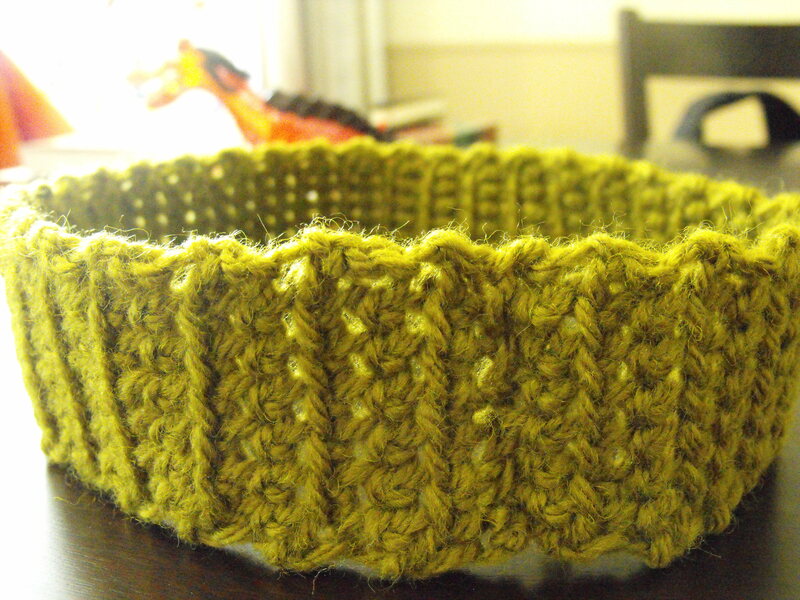 I have found that the method below wears better and looks like ribbing. Make a chain the height you’d like your band to be, say 8 or 10 sts (make as many or as few as you’d like, depending on your preferred height; just ensure to add one additional stitch for turning). Sc in the back loop of the 2nd chain from the hook and every chain to the end of the row. Chain 1, turn and sc in the back loop of every stitch in the row. Continue in this way, back and forth, until the band is slightly tight when you wrap it around your head (it’ll stretch when you block the hat). Seam the band. 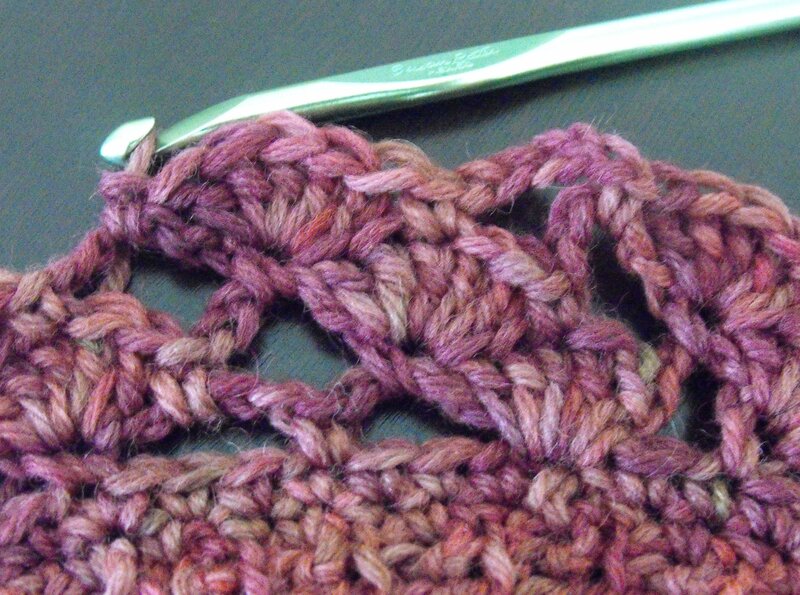 Here is a neat tutorial on creating a flat crochet seam. I prefer to just do a whip stitch because I’m lazy and because I can usually do it neatly enough so it’s fairly flat. 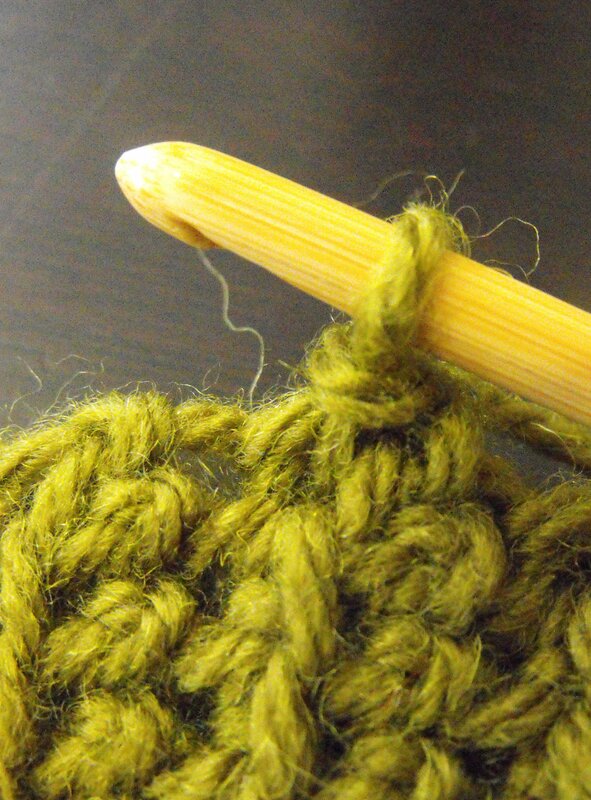 You are going to need 76 stitches around the band for the shell pattern to work. Before we worry about that, we’re going to work one row of sc around the band. After trying a few different methods, I found the following to look best as the initial foundation row around the band. With the right side of the band facing you, join your yarn in any space directly to the right of one of the raised ribs. I chose to join a few stitches to the right of the seam. Chain 1, and make a single crochet around/behind the next little vertical rib stitch. Sc in the space to the immediate right of the next rib, sc around/behind that rib, and continue around in this manner, joining to the beginning ch. When you run into the seam, I recommend just sc over it as best you can (yes, I know I’m a bit of a cavalier crocheter). If you do it smoothly, with as few sts as possible, it should look just fine. Don’t worry about picking up the vertical ribs etc. when you do this. It’ll be at the back of the hat, anyhow, so in my opinion it’s okay if the pattern is disconnected for a stitch or two. Count your stitches. If you have more than 76, you’ll need to sc around and evenly sc2tog until you have 76 stitches in total. If you have fewer than 76, you’ll need to sc around and evenly increase until you have 76. Now, you’re ready to start the rise (the fun part, right??). Sc 1, chain 5, skip 3 sts and sc in the next st. Continue around, chaining 5, skipping 3 sts and sc in the next st. If my math is correct, and if you counted your stitches right, you should have exactly 19 chain-5 loops around when you sc into the very first sc you made. If my math is wrong, or if you miscounted slightly, that is okay (again, cavalier crocheting)! You might find that you can only skip 2 sc when you make your last loop, or you might find that you have to skip 4. As long as you have 19 loops in total, you’re golden. Chain 2 (this counts as your first dc). Make 4 more dc in the same stitch (first 5-dc cluster made). *Sc in the next ch-5 loop (this sc is the first step in making these shells lay diagonally!). Chain 5, sc in the next ch-5 loop. Dc 5 into the next sc. Repeat from * until you make your last ch5/sc into the final loop. Once you’ve done this, ch 5 and sc into the centre dc of the first cluster you made. Continue around in this pattern. For the two hats pictured, I worked five rows of the pattern. 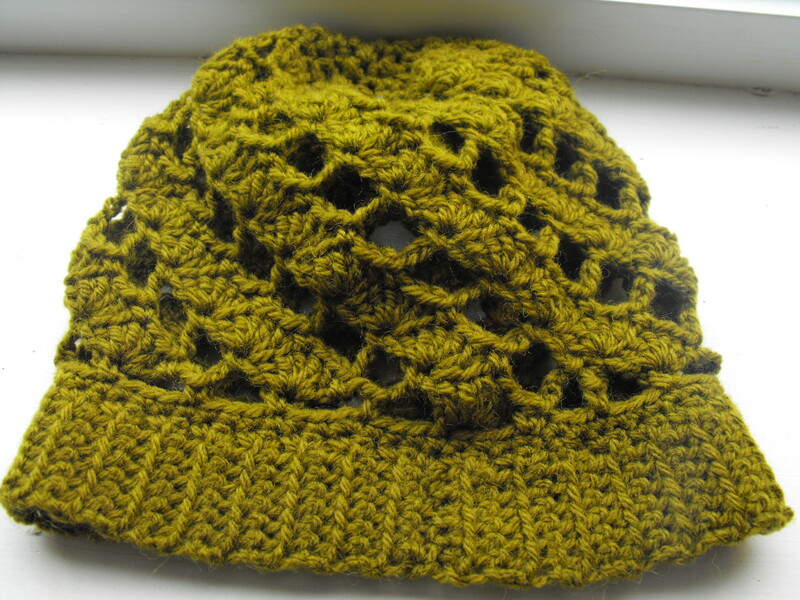 This worked well for the green hat because the yarn was chunky and the hat ended up quite slouchy. The yarn for the purple hat was light worsted and as you can see, at five rows it ended up being a lot less slouchy. 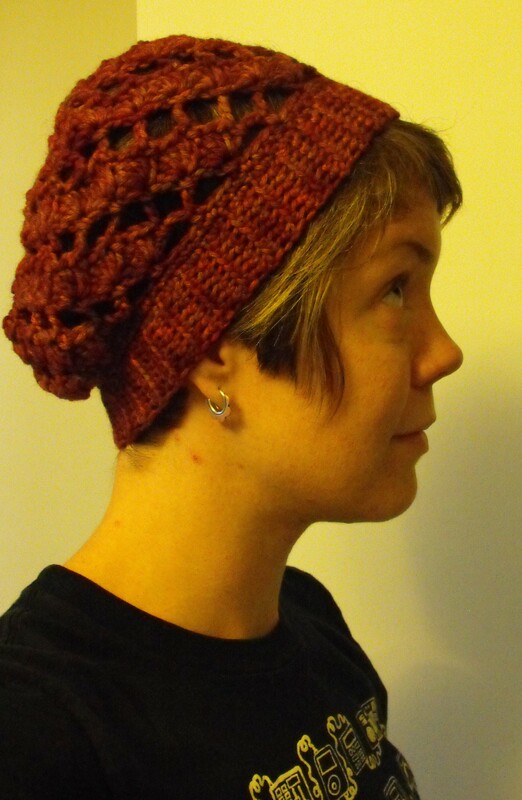 I made a hat recently with sport weight yarn and with a rise of eight rows, it still wasn’t terribly slouchy. 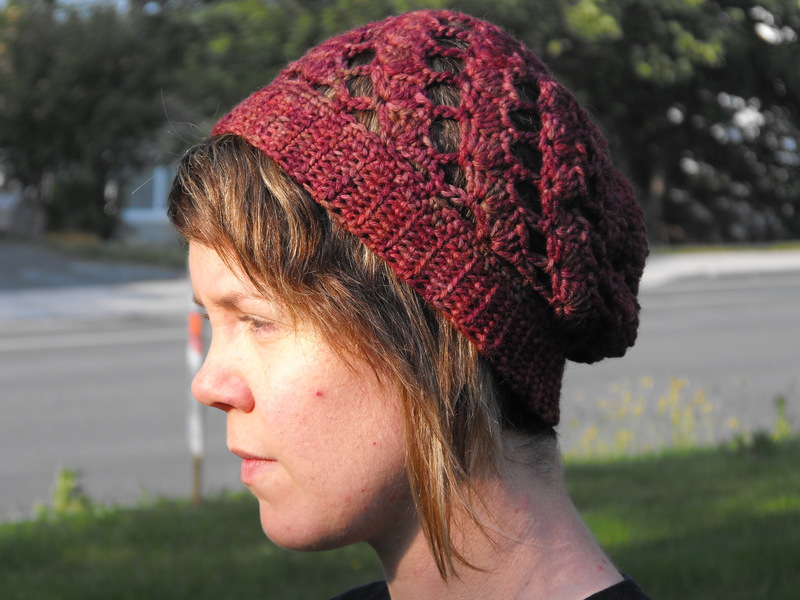 For a longer, slouchier hat, continue on until the rise is the height you like. The decrease rows do not take up too much room, so I recommend working the rise until the hat is almost as long as you’d like, but not quite! Start your decreasing after doing a cluster/sc into ch-5 loop. For the first decrease row, continue to work the pattern, but instead of chaining 5 as you have been, chain 3. For the second decrease row, continue to chain 3 instead of 5, and reduce the number of dc in a cluster from 5 to 3. For the third decrease row, continue to make clusters of 3dc, but instead of chaining 3 as you have been, chain 2, and sc into the centre dc of each cluster of 3dc. For the fourth decrease row, start by sc the next sc and dc together. *Sc into: the next ch-2 sp, sc, and 2 dc. Sc next dc and sc together. Repeat from * until the end of the row. Starting next row, 1 sc, then sc2tog around. Continue this pattern, alternating sc and 2sctog, until you have 14 sc left, which should be after roughly 3 rows. Close up the top of the hat by sc2tog around until there are only a few sts left; the hole should be small enough to be left alone at that point, but I chose to stitch it up with a yarn needle. Weave in all of your ends. Turn the hat inside it out and run it under cold water until it’s wet, but not soaked through, and gently block it: stretch the band, stretch the hat vertically and horizontally, and just make sure that none of the clusters/chains are buckling too much. Lay flat, ideally on a drying rack, to dry. I’m actually haveing a hard time with the instructions. At the end of the first row of shells somehow I wound up with two rows of chain 5 spaces. Hi Amy! Thanks for your comment. Hmm…Let me take a look at the pattern (I haven’t read it in awhile} and see where I might need to clarify something in the first row after the brim. So, just to clarify, you have not one, but two rows of 19 ch-5 loops? Did you sl st into your first sc when you finished the first row of 19 ch-5 loops?